Available Exclusively from Musical Bard A musical adaptation of William Shakespeare’s The Taming Of The Shrew Concept and Adaptation by John R. Briggs Music and Lyrics by John R. Briggs & Dennis West Crazy Love is a rambunctious musical comedy focusing on what is the ultimate clash—the battle of the sexes. Love and marriage, courtship and breakups and the volatile nature of conflicting personalities that are simultaneously attracted to and repulsed by one another. This is the ultimate battle of the sexes. Love and marriage, courtship and breakups and the volatile nature of conflicting personalities that are simultaneously attracted to and repulsed by one another. If it sounds to you like Shakespeare’s The Taming of the Shrew, you’re right. That’s exactly what it is. But it’s more. 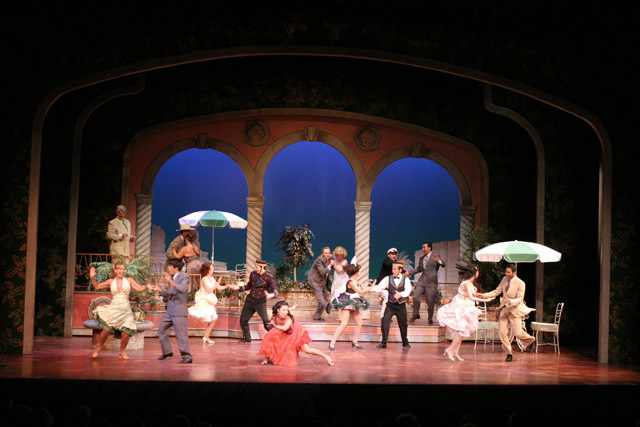 It’s The Taming of the Shrew set in Miami with lots of wonderful tap and Latin numbers, quick witted comedy and a collision course of characters guaranteed to entertain all ages. From the moving and lovely torch song Dice of Love to the buoyant duet Tough Job, this is musical comedy is designed to entertain from start to finish. Soulful solos, exciting company numbers and clever comic tunes tell the story of a love ordained to be filled with laughingly fitful fights, clever insights and potentially love filled nights. The musical numbers hearken back to another era when names like Gene Gelly, Fred Astair, Ginger Rodgers, Debbie Reynolds and Donald O’Connor entertained audiences with magical moves, musical panache and snappy comedy. 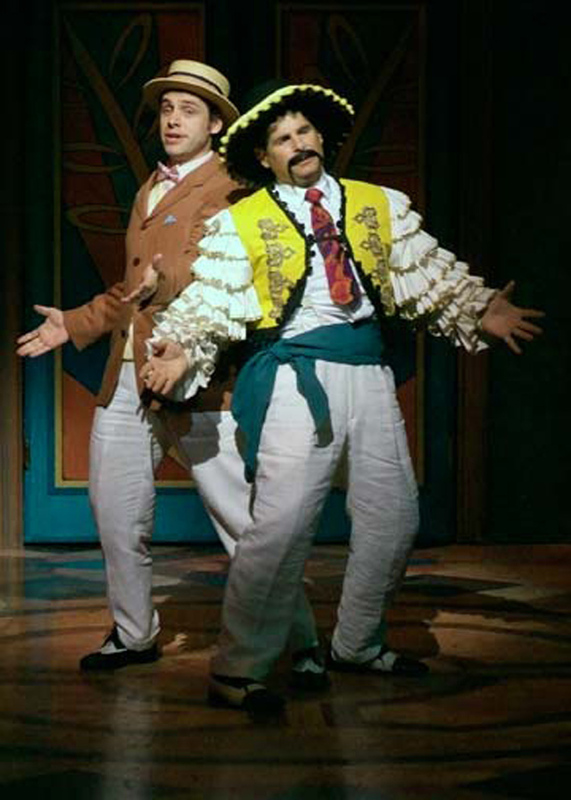 Petruchio, and his vaudeville-second-banana, Grumio, come to Miami in search of a rich wife. 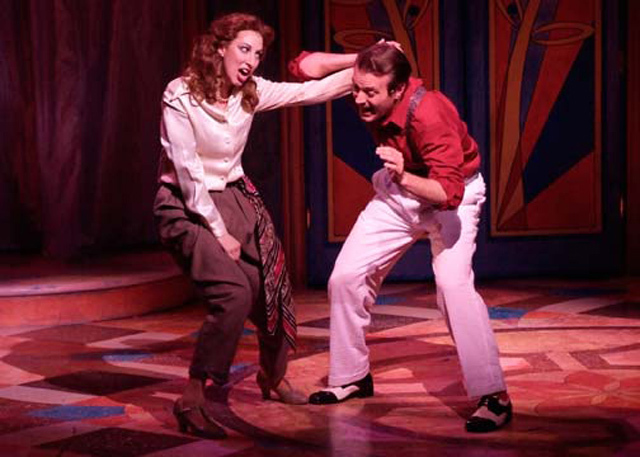 His friend, Hortensio, aims Petruchio at Katherine, the daughter of Miami’s wealthiest man. 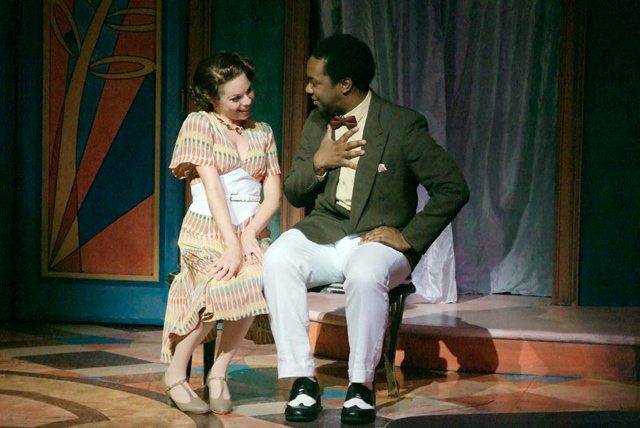 In exchange for this information, Hortensio asks Petruchio’s help in courting Katherine’s younger sister, Bianca. 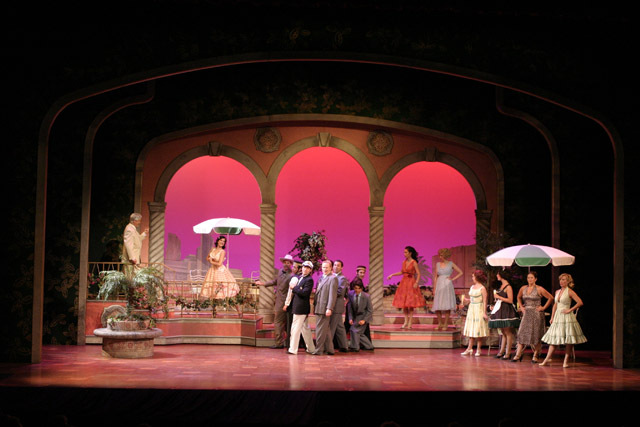 Hortensio’s dilemma is that Bianca is also being sought two other suitors. One is Gremio and the other a young new comer, Lucentio. Things get complicated very quickly. There’s instant heat between the commanding Petruchio and the quick-tempered Katherine but not in the way one might first expect. This is not love at first sight; it’s fight at first sight. Initially, the two mix like water and vinegar. As for Hortensio, his courtship of the lovely Bianca starts out as a hopeful adventure and eventually becomes a lost cause. 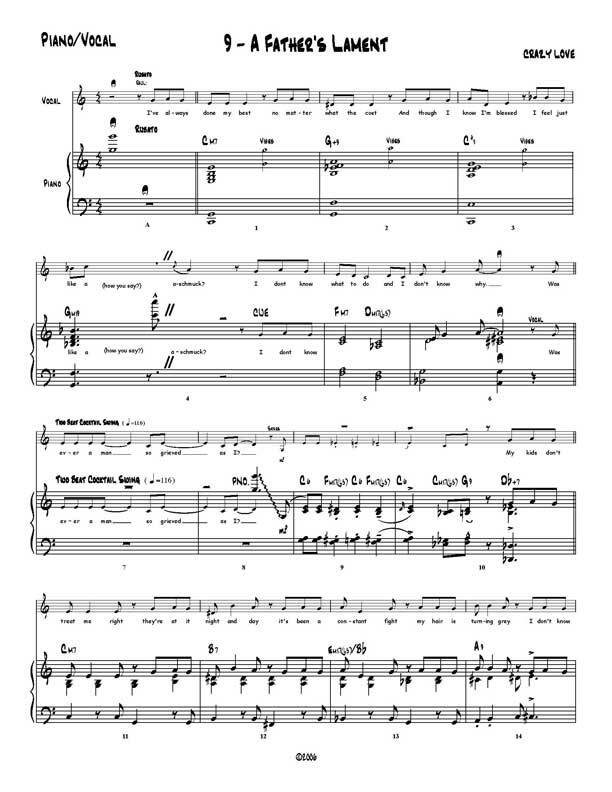 But remember, in a musical comedy a little bit of heartache goes a long way. Although Hortensio never receives Bianca’s love that’s for best, as she does find her soul mate in Lucentio. The marriage is sealed through the help of Lucentio’s close friend, Tranio. And as for our main romantic and comic concern, Petruchio and Katherine, what becomes of them? Through a series of zany maneuvers by the two, they are married. 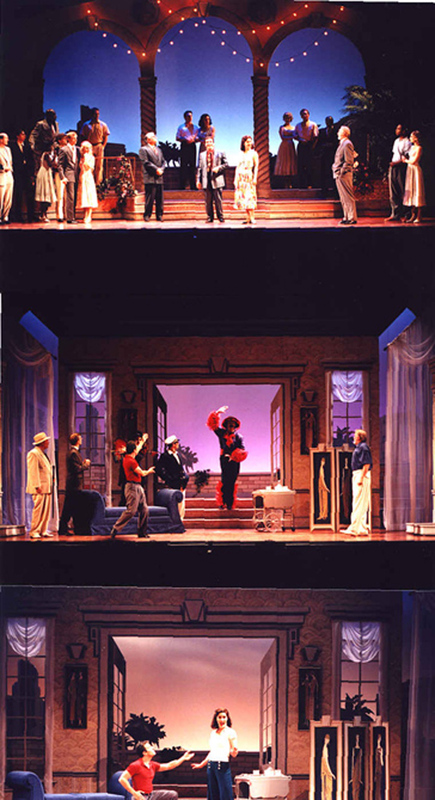 By the end of this musical comedy, the two couples are content in their marriage and all’s well that ends well. …paying homage to the Fred-and Ginger movie musicals. I loved it! When three dancers finish “Tough Job,” they have just completed the most dazzling production number in town this year. For this to work is an homage and not just a send-up, composer-lyricists Dennis West and Mr. Briggs must sound almost as good as the great composers of the period. It’s an achievement that they do so…. "Crazy Love is a delightful programming choice that goes down like bubbly. 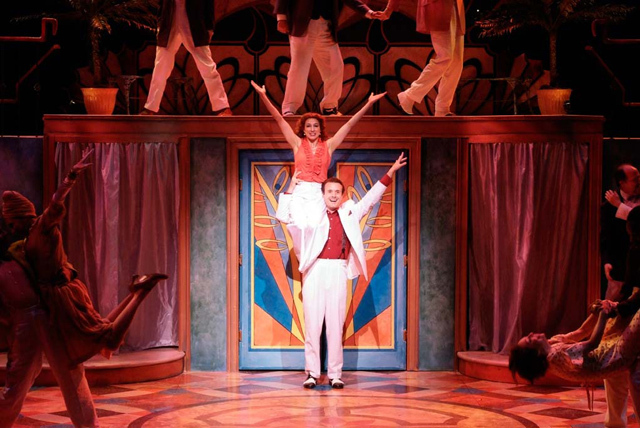 Destined to be the Atlanta theater community's summer crowd-pleaser... Briggs and West demonstrate a love for the find of jazzy, upbeat sounds that informed the work of Harold Arlen, Johnny Mercer, Cole Porter, the Gershwins and other greats... The night dances by all too quickly." "3½ stars! A shrewed comedy! Downright loveable - Irreverant, impressive [and] very funny!" Unless you've been lucky enough to see this show in production, you may not be sure if it's what you're looking for. 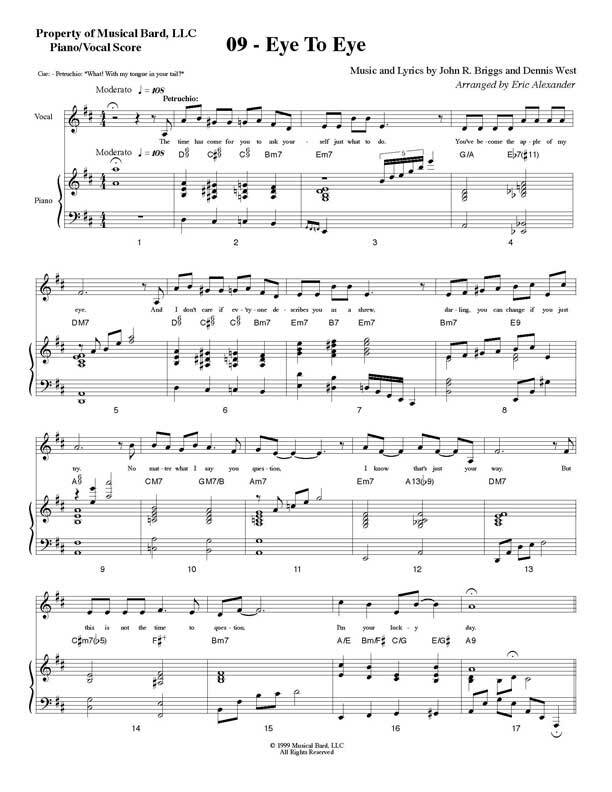 Here at MusicalBard.com, we are here to help you in any way we can. One way we would like to encourage you to produce one of our shows, is by letting you download the ENTIRE SCRIPT - FOR FREE! This is a full text version of the script, with nothing excluded. 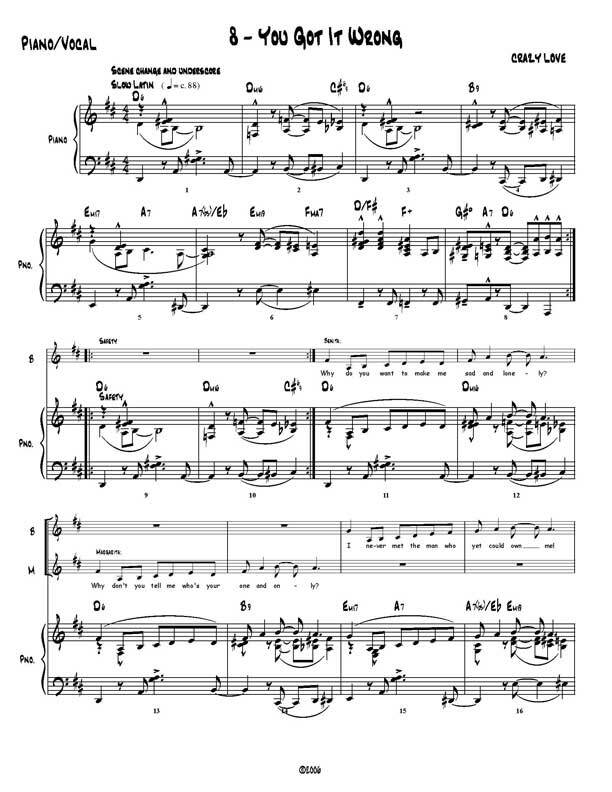 The PREVIEW version of the script does have a WATERMARK, but don't worry, when you purchase your actual license, you will be delivered a fresh copy of the script, with no watermark. In the meantime, please enjoy reading through the preview script. Hopefully, it will be just what you're looking for. 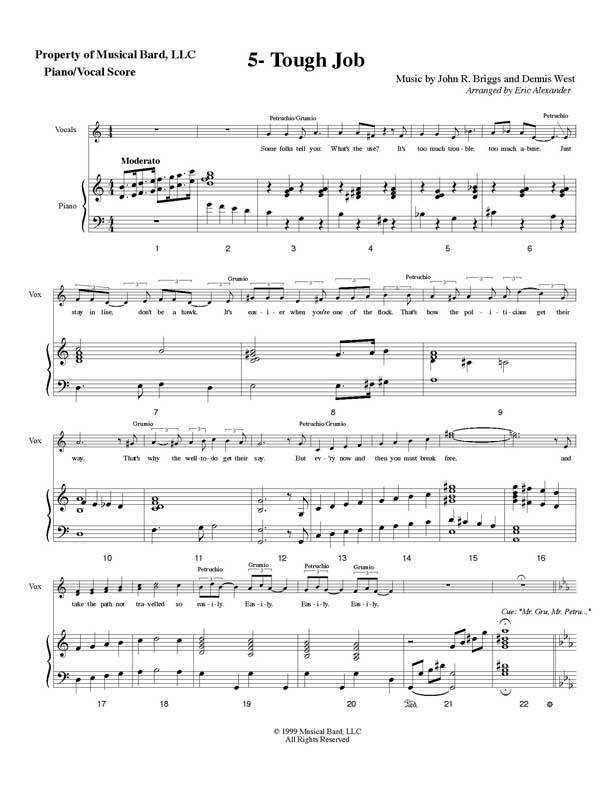 If you happen to have questions about anything you find in the script, or anything here at MusicalBard.com, you can always contact us. IMPORTANT - The preview script is NOT a license to produce/preform the show. Its only purpose is to aid in your decision to purchase a license.